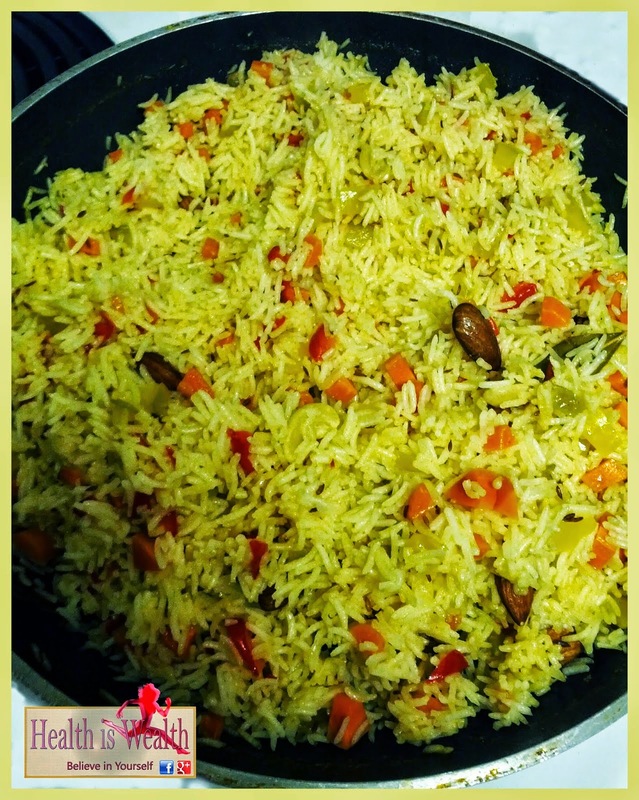 ﻿ This is my variation of a classic Indian rice dish. Green onions, carrots and red peppers give the pilaf great colour. I add raisins for just a touch of sweetness and almonds for some delightful crunch. I think you'll agree with me that the mild curry flavour pleases all palates. Preheat your oven to anywhere between 350 and 425 degrees. Line the top of a cookie sheet with parchment paper or foil for easy cleanup. Spread the almonds in an even layer on top. In a skillet with a tight fitting lid, sauté the garlic and half of the onions, carrots and red peppers in butter. Add the rice and curry and cook until the rice begins to brown up. Add chicken broth and and generous pinch of salt to the skillet. Stir, bring to a boil, then reduce heat to low and cover for about 18-20 minutes. While the rice is cooking, toast the almonds in your oven for 5-7 minutes. Shake the pan occasionally, When the almonds are nice and brown from the heat remove. When the rice is done cooking, stir in the remaining green onions, raisins and almonds. This is one of those forgiving recipes where you can measure by eye and the meal will turn out simply wonderfully. I provide the measurements as a guideline only, but don't strictly follow them myself! It's a reliable dish and your guests will appreciate the bright palette it lends to your table. Serve hot and enjoy. Bon appétit!